Art Omi honors our international artists-in-residence and celebrates with a country brunch on the lawn of Ledig House. Join us for a mimosa open bar, carving & omelette station, fresh fruit and more to fuel up for a day of art-seeking before you head down to the Studio Barns! 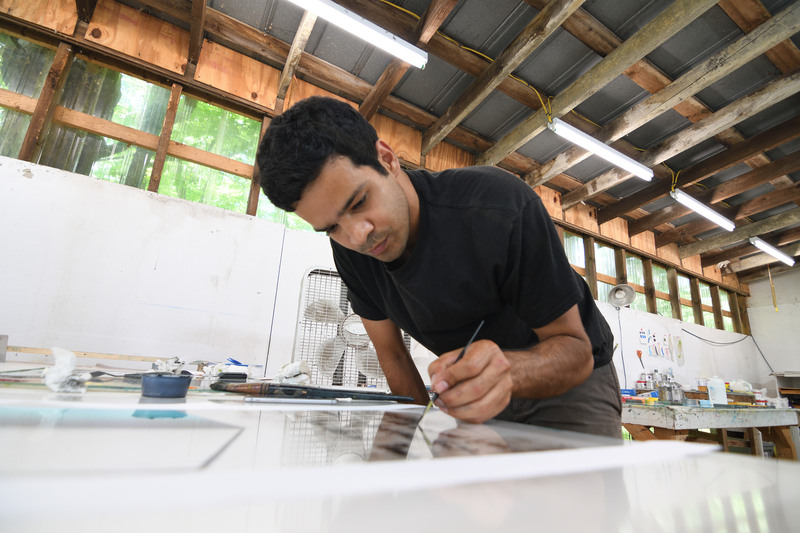 After brunch, stroll down the hill to the Studio Barns, where you can see the work of the 30 international artists-in-residence. Installations, pop-up events, and performances will be ongoing from 1 to 5 p.m. Free and open to the public, no RSVP required. Click here to learn more about the 2018 artists-in-residence. Tickets available at the door. Cash, check, card accepted. Assorted bagels and bialys with Smoked Salmon, Assorted Cream Cheeses (plain, chive, vegetable, and bacon-horseradish), Sliced Tomatoes, Red Onions, Capers, etc.